If you’ve been following or reading my recipes there are times that I do not give exact measurements…well, this is going to be one of those moments. 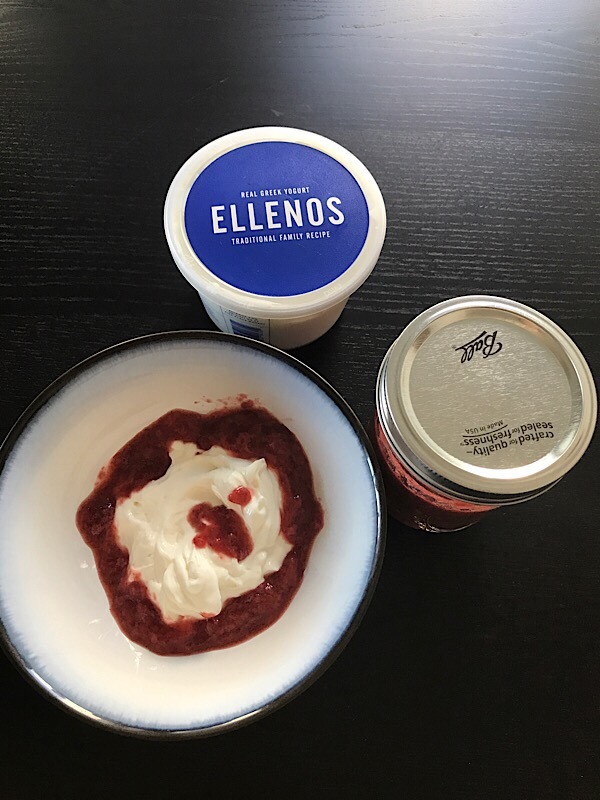 I used this delicious jam with some Ellenos yogurt…have you had Ellenos yogurt? My favorite Greek yogurt ever! Or, just…you know…whatever you use jam for. I also used this same jam recipe in the Victoria Sandwich cake. As it is cooking down add the juice of one lemon and your choice of sweetener. How much do I add? Honestly, it’s all by taste. Cook the fruit down until it gets to the consistency you want, that’s it!